If your temporomandibular joints (TMJ) function well, then you may not even know where these joints are located on your body. However, if they give you trouble, then you no doubt know exactly where they are. Place your forefingers on both sides of your face just in front of your ears and open and close your mouth or wiggle your jaw. You’ll be able to feel the temporomandibular joints working. However, if these joints don’t work properly, then just these simple movements can cause discomfort. TMD can lead to chronic headaches, as well as neck and jaw pain. Patients may experience regular difficulty with opening and closing your mouth. 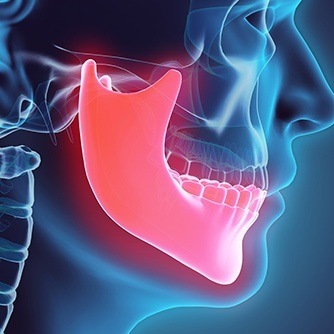 Additionally, you may notice that your jaw makes a clicking or popping sound whenever you open and close it. 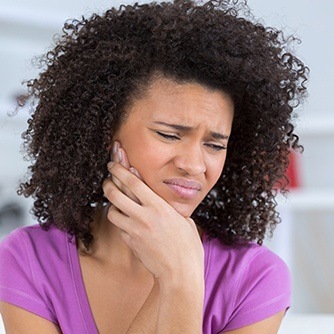 You may also notice that you have difficulty chewing or speaking, regularly experience a supposed earache with no signs of infection, or your jaw may feel locked or stuck at times. If you experience any of these symptoms, we encourage you to schedule a comprehensive analysis. At your comprehensive evaluation, Dr. Metzger will assess your symptoms and evaluate the condition of your teeth, jaw joints, and muscles. Stress, a misaligned bite, trauma, and other factors can make the two small joints in front of your ears malfunction. 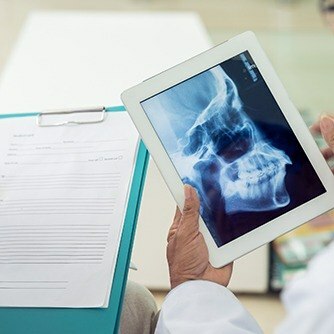 Dr. Metzger may also elect to take comprehensive digital X-rays of your mouth and jaw. Many patients experience an end to TMD distress with a custom-fitted oral appliance. This comfortable, easy-to-use device places your jaw in its optimal position to reduce stress on the joints and muscles. In addition, the appliance—which is made of smooth plastic—buffers the effect of teeth grinding and clenching (bruxism) if either of these are a contributing factor. An oral appliance can ease the effects of bruxism and provide relief from the discomfort of TMD. The result is improved function and an end to painful and annoying symptoms. Dr. Metzger will monitor your progress and help you achieve pain-free TMJ function and lasting comfort. To learn more about TMD or to schedule a consultation with your dentist in Farmington, MI, contact Monet Aesthetic Dentistry today.